With a stylish velvet-wrapped aluminum alloy frame and cinema designed HDTV material, the Permanent Fixed-Frame is the enthusiast's choice for use in a dedicated application. The material is specifically designed for all high-definition feeds. The solid structure and tensioning system ensures that the screen is always perfectly flat and the picture flawless. 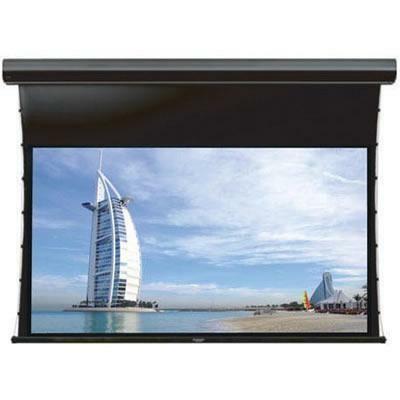 Additional Information PS HDTV High Contrast Fabric; Adjustable Tension Bar System; 80mm (3.25") Beveled Aluminum Frame with Black Velvet. 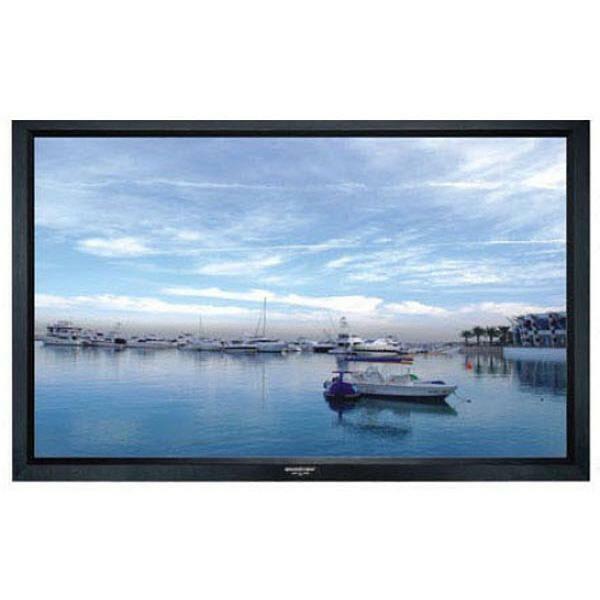 GrandView high contrast HDTV motorized tab-tensioned projector screen.